Our company name is not a misnomer-we have been manufacturing cylinders and valves since 1958. We manufacture air and hydraulic cylinders plus their associated valves and replacement parts. Anodized aluminum, brass and stainless steel are the materials in our products. 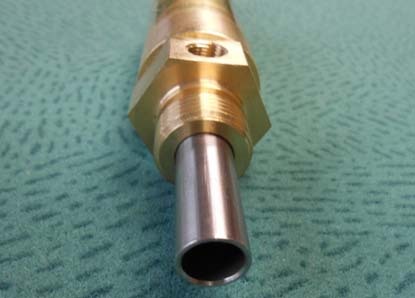 Bore sizes of 3/8"- 4". Our standard systems are non-corrosive with a wide range of mounting design choices. Are you searching for a company that will treat you with respect? We take extra measures to ensure our customers receive exactly what they ask for and you will be happy with the products you receive. Our telescopic cylinders are the best on the market and these premier solutions will last for years. Please visit our website to learn more information! We are excited to work with you! We have the knowledge in the hydraulic cylinder industry that allows you to keep running efficiently and effectively for years. We don't believe in making products that will break easily, and all our products can stand up to the harshest uses. We take the time to ensure that our designs are the best, and everything we make is made right here in the US! Find out more by contacting us today! Telescopic Hydraulic Cylinders are used in a variety of applications, including construction equipment like dump trucks, large capacity marine cranes, and oil field drilling rigs. In these demanding settings, the cylinders are usually used to raise and lower pieces of equipment as with the dumping action of the dump truck or to erect the mast of a mobile drilling rig. Generally, the cylinders are anchored in machinery by pivot mounts welded to the body of the barrel as well as the end of the piston rod, and can tolerate hydraulic pressure at a maximum of 2000-3000 psi. No matter the application, it is very important that telescopic hydraulic cylinders be used in a way that avoids side loads from pushing on the actuator as this can cause excessive wear and sometimes very serious damage. At full extension, they are even more susceptible to side forces. Telescopic hydraulic cylinders should always be viewed as force generating devices, never as stabilizing devices. There are many manufacturers of telescopic hydraulic cylinders to choose from and many offer custom design options to suit specific applications. Double acting cylinders as well as single acting cylinders are also an option when it comes to these cylinders. 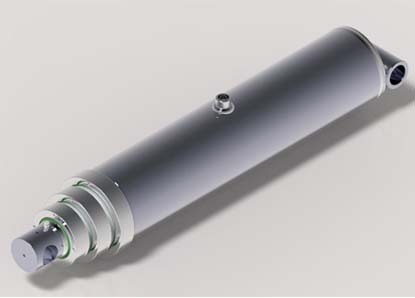 Double acting cylinders are extended and retracted by use hydraulic pressure in both directions. Some even use a combination of both single and double acting technology, where the piston is double acting and the rest of the stages are single acting. Telescopic cylinders are often used in and considered in regards to heavy machinery, but there are smaller bore designs used in lighter applications as well. There are a range of specific designs, features, and capabilities that can be considered and employed when it comes to telescopic hydraulic cylinders. Telescopic Hydraulic Cylinders - Cylinders & Valves, Inc.
Telescopic Hydraulic Cylinders - Southern Hydraulic Cylinder, Inc.